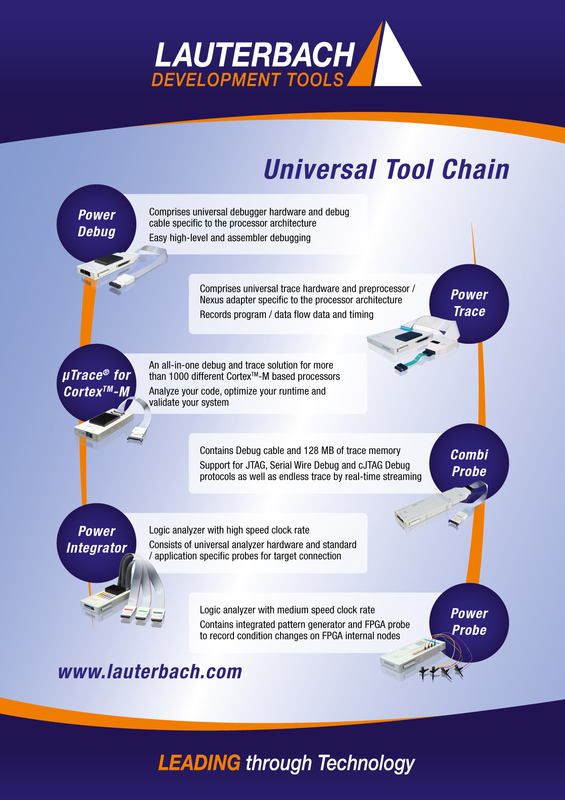 – Lauterbach provides integrated debug environments for embedded designs. These capabilities are implemented by dedicated hardware components. The common user interface PowerViewand a joint system bus provide a seamless integration of all the tools into the debug Environment. debug cable to connect to the onchip debugging interface. preprocessor/NEXUS adapter to connect to the trace port. 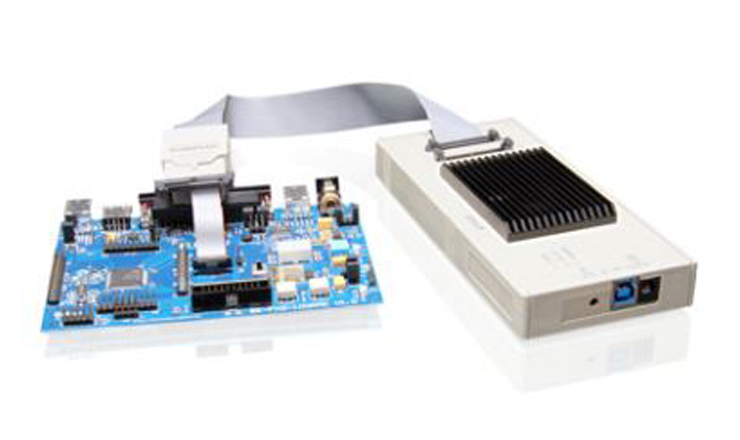 standard and application specific probes for the logic analyzer. control all devices in one GUI. display the debug and trace information in one GUI. show the logical/timing correlation between all displayed information. All Lauterbach base modules are completely universal. Migration to a new processor architecture is very simple – just exchange the debug cable and the preprocessor/ NEXUS adapter. The decision to make Lauterbach systems modular and to provide an open interface has meant that customers can protect their investment and help guard against obsolescence. 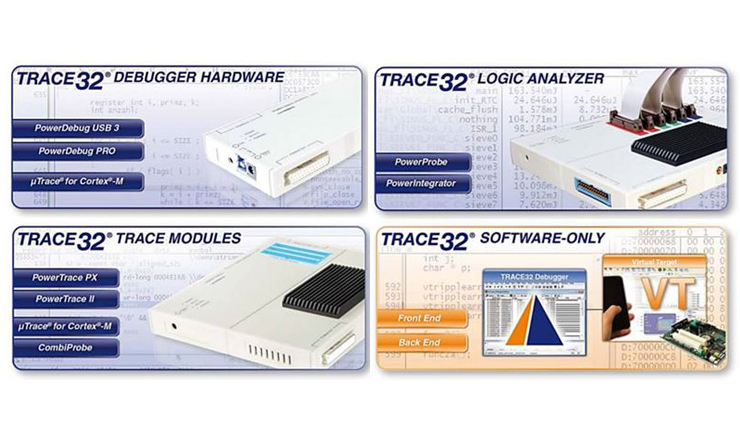 The first generation TRACE32 systems have been compatible with follow up designs for over 15 years. The tools are easily scalable. Initial tools can be purchased to satisfy an immediate need, with the option to buy additional modules later, expanding the tool’s capabilities. >>Service – we can help!